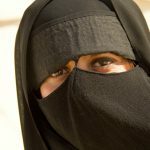 A recent online poll run on behalf of the newspapers Le Matin Dimanche and SonntagsZeitung suggests a large majority of Swiss voters are in favour of a nationwide ban on face covering in public. Around 76% approve of the anti-face covering initiative launched by the group, known as the Egerkingen committee. The group, which presented 106,600 signatures to the government in September 2017, hopes to run an official national referendum on the subject. In Switzerland, 100,000 valid signatures are required before a national vote can take place. The process takes time and an anti-face covering referendum is not expected before 2019. 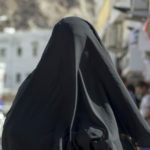 While the initiative’s proposed change to Switzerland’s constitution does not mention the burqa or the niqab, it is clear those wearing these garments would be affected. The proposed text does not restrict face covering in places of worship. The survey, which questioned 1,167 people of voting age across French- and German-speaking Switzerland, found that 60% would “certainly” vote for the ban and 16% would “without doubt” vote for it. 3% had no view and 20% said they would vote against it. At the same time 48% of those surveyed agreed they would accept official recognition of Switzerland’s islamic communities if they were organised democratically and committed to modern moderate islam. On the other hand 41.5% were against such a move, with 10.5% holding no view. The poll was run by marketagent.com in December 2017.